Leading Manufacturer of gusseted woven packaging sack from Ahmedabad. 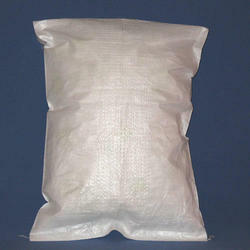 We are the leading manufacturers and exporter of Gusseted Woven Packaging Sack and our product is made of good quality. These woven gusseted bags can stand vertically because of its unique construction. Our gusseted bags are bets suitable for the storage of different types of agro products and food grains. The collection of sacks we manufacture has folded sides for easier handling. These Gusseted Woven Sacks are widely used for packaging Food Products, Agro Products, Animal Feed, Chemicals & Fertilizers and much more such industries.